While there are a multitude of swing trading strategies available out there to swing trade, there are some that tend to work out better over the longer-term. Obviously, this is going to be different for everyone involved as your psychology comes into play as well, and all of the strategies should be used with a proper money management scheme. All of the mentioned strategies can be used as forex trading strategies as well as stock trading strategies. 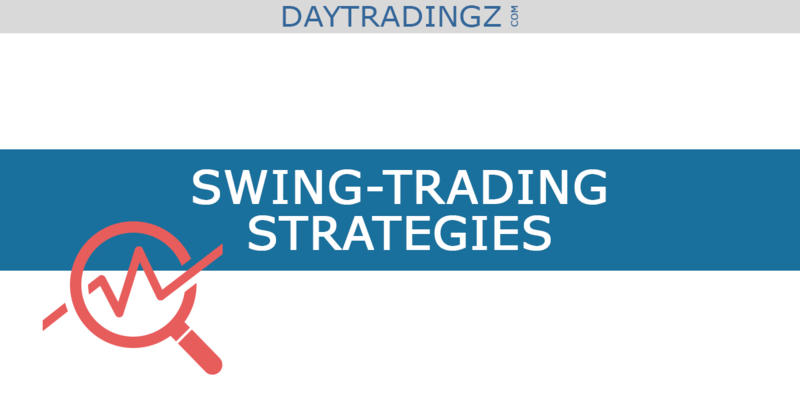 Swing trading strategies differ considerably from day trading strategies. ​However, some of the mentioned strategies can be used for day trading as well. Recognize that no matter how reliable a setup is, there can be such thing as a “black swan event,” or simple bad luck that turns things around against you. With that in mind, we look at the following five swing trading strategies that successful swing traders are known to use. 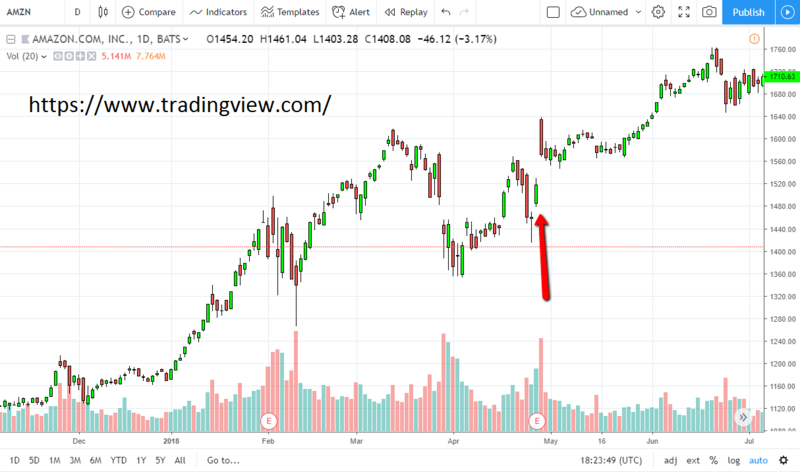 While gap trading is something that you are probably familiar with, a quick refresher of this is that price simply jumps or falls at the open during the trading session, thereby showing an extreme change or continuation of sentiment. 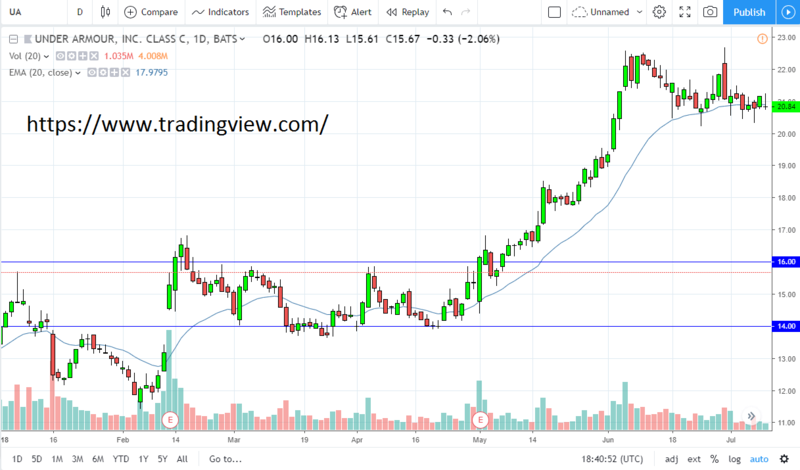 For the swing trader, which by its very definition means that you are paying attention to the trend, continuation gaps are one of the favorite ways to play the market. This is typically found after an earnings report, that beats expectations. If you get that, and you are already in a strong trend, then it makes sense that you should either be buying into the market or adding onto an existing position. Remember, this is only when we are moving with the overall long-term trend. 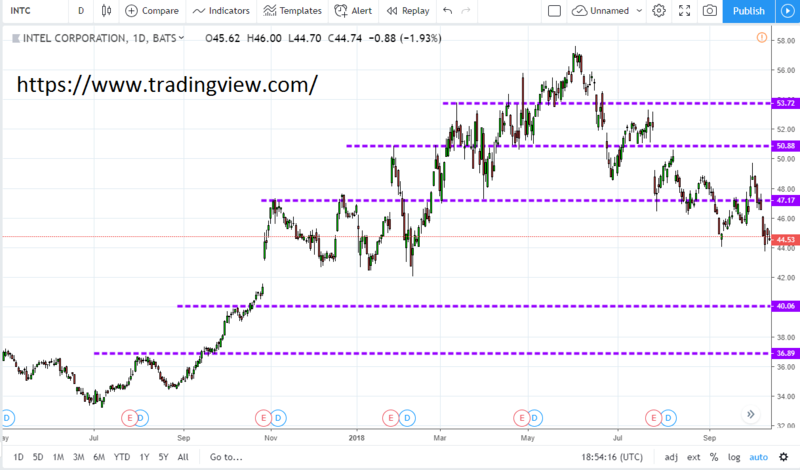 On the attached Amazon chart, you can see clearly how we gapped higher after an earnings report. This was in the context of the longer-term uptrend, and we even broke above the recent highs during that announcement. The market pulled back slightly, and then continue to go higher. This is the type of continuation gap that longer-term traders love to take advantage of, as it writes out the overall prevailing trend. Remember, many traders will simply place trades based upon earnings reports and nothing else. This is where the fundamental and the institutional trader typically puts on their positions, and they move the market much more than you will. By following the herd, you can find yourself much more profitable. Traders all over the world use Fibonacci retracement tools to find a level to get involved in the market. The three most common levels are the 38.2%, 50%, and the 61.8% retracements. With that in mind, traders will typically use their favorite candlestick pattern at these levels to take advantage of a well-known ratio. Keep in mind that these ratios are not to the point, they are general areas. It’s much like support and resistance, if I say that “we are approaching the $21 resistance area”, that doesn’t mean that as soon as the market hits $21.01 that we have broken out. It means that you are looking at an area that could be an interesting place to play a reversal candle. Remember, there is slippage out there when it comes to larger players, so if you cents here and a few cents there will get discarded. 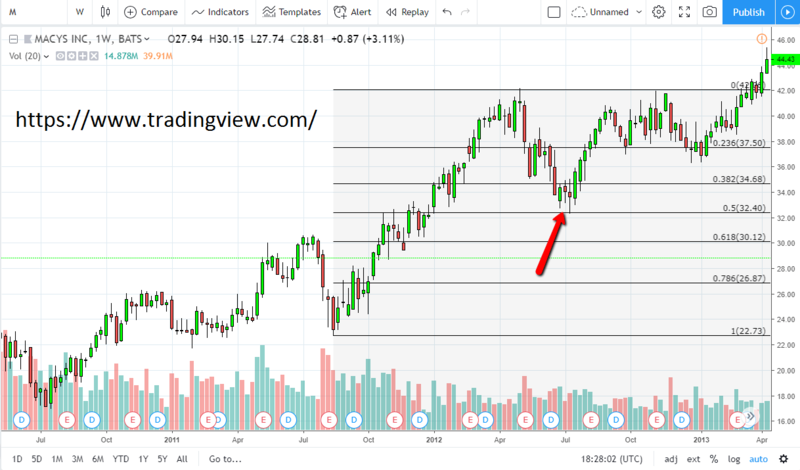 While there are a multitude of candlesticks that you can use, the chart that I’m using just below shows a hammer at the 50% Fibonacci retracement level on the weekly chart of Macy’s. This was after a nice move higher, that many traders might have missed. As we pulled back, traders started looking for support and the 50% Fibonacci retracement level was interesting enough that several traders bought into it. As we break above the top of the candlestick, it confirms that the support has held and the swing trader will start to buy there. You can see that we apparently went much higher afterward, although there was a slight pullback in the process. You will see variations of this with engulfing candles, shooting stars, Doji candlesticks, and many other patterns. It comes down to the traders favorite set up. However, they all start with that Fibonacci retracement level. While following a trend line, of course, is very crucial, and when you look at this chart below, you can even see several times when you could have bought this market along the way, merely following the trend line, what is even more impressive is when you break a major trendline to the downside. This shows a significant break of support and can lead to a nice long-term trade. Momentum has swung to the downside in this same Macy’s chart from the last paragraph, but you can see that we have not only broken below the trend line but have bounced to test the underneath, and then broke down from there confirming a major sell signal. In fact, you have roughly 4 or 5 weeks to start shorting. Major trendline breaks the go back a couple of years don’t happen every day, so when they do - you need to stand up and pay close attention to this as it can quite often make your entire year. You could have sold Macy’s at roughly $57.50 on the chart, and very easily banked $20 per share on the downside. Your risk is very easily defined, as a break back above the previous trendline would, of course, show that selling wasn’t going to work out. With that being the case, it’s obvious that you have a start, a stop, and your target is quite often the bottom of the trend line. However, most traders will move there stop loss is down to reflect recent swing highs on shorter time frames. Trading like this means being very patient, but this one trade could have been a bulk of your gains for the year, eliminating a lot of broken trades in the process. You are on the right side of the market, and eventually, people need to start selling their stock that is now losing money, only to accelerate the market in your favor again. This one is very simple. You are looking for a relatively flat exponential moving average that tells you when the market is consolidating. When it is, then you look for round numbers to trade off of. 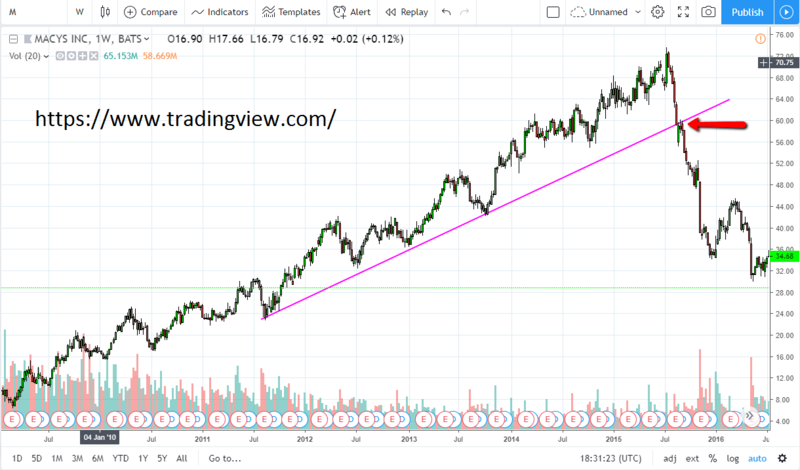 In the case of Under Armour, you can see that we had bounced between $14 on the bottom and $16 on the top over the course of a couple of months. The 20 day EMA is also placed on the chart, and it was relatively flat during this timeframe. I would also point out that we had recently rallied before consolidating like that, so it does give a little bit of an upward bias as to where we could go longer term. This is important to keep in mind because we know that more than likely, the break out from this range will be to the upside. What you are looking to do is buy and sell several times. You need to take advantage of these consolidation frames because they happen all the time. You would give yourself something like $0.50 leeway for your stop loss, buying at $14, and selling as we approached the $16 level. The caveat here is that since we had rallied just before consolidating and the EMA flattening, you would do one third the position size on the short side. This helps you take advantage of selling, but it also keeps you safe in case the market does break against you as it inevitably would towards the end of consolidation. A quick “back of the napkin calculation” suggests that you would’ve had for winning longs, to winning shorts, and one losing short. That one-third of a usual position that got stopped out as the market broke out above the $16 level decidedly was well worth the risk taken on with the other positions. You have made your money in this scenario, and your work is done. Furthermore, you can start buying as you are proven wrong, because you know that typically consolidation will lead to continuation given enough time and the move before was very strong. No, this is not some type of marketing gimmick. Beyond that, it’s not necessarily an entry when it comes to taking a trade, but it teaches you how to manage one. “Pyramiding” is a reference to adding more and more positions in a particular direction. Swing traders are looking to take advantage of big moves, so it makes no sense to take your profits right away if you can avoid that. In the attached chart, we have the daily time frame of Intel, and you can see that it was choppy to the upside. However, I also have placed several purple dotted lines on the chart. What they represent are places where the market made a fresh, new high. Think of it this way: if you are in a nice trend and believe in a stock from a longer-term standpoint, there’s no reason to take a profit. Jesse Livermore used to say that he doesn’t sell a stock that he owns unless there’s a reason to be short of it. In this example, you can see that somewhere around $37, $40, $37, $50, and then again at $54 you would have added to your position. Typically what we will do is move our stop losses below the previous dashed line. So what I mean by this is that once we broke the $40 level, the stop loss is for everything would be at the $37 handle. The next stop loss would be move at 40 once we broke 47, and so on. While this does lock in some losses on the last little bit added, the kicker is that you are starting with your full position, and then adding a smaller percentage of that position on as you go along. Perhaps you would start with 100 shares. After that, what you break to a fresh, new high you would then add 25 shares. After that, you might add another 25. Eventually, you would even cut back further, perhaps only adding 20. In other words, the losses that you do take later will be much smaller and relative value when it comes to the position that you just banked. You can see how profitable this is from a longer-term standpoint but it does take a lot of patience as stocks will take quite some time to make these moves. For the example that I have attached here, it was well over a year before you get knocked out of the market, but that isn’t necessarily a good thing as it leads to stress-free trading. You should by all means experiment with these systems, and choose what makes you the most comfortable. There are also a million variations between these systems that can help, such as the Fibonacci one which has almost limitless possibilities. ​Make sure to use a stock screener like Trade Ideas to find the best possible trade entries. Without a good market scanner, you will miss the perfect entry point. Furthermore, you should you use a charting tool. While Trade Ideas has an integrated charting functionality, you can also use other charting tools like TradingView. Check out the TradingView Review to learn all about the free features this charting tool provides. You can trade just one particular candlestick, or trade everything that touches the 50% Fibonacci retracement level, if your psychology can handle that. Regardless of what you do, by all means do not risk a large amount of your account and make sure that you are not playing with money they you need to survive on. If it’s an investment, then you should be looking at higher time frames. If it’s a speculative investment, then things are a little bit different. Swing trading is about taking out the day to day stress of day trading, and simply focusing on the longer-term movement. By sticking with two these types of strategies, it allows you to build up your portfolio and walk away from the computer. Far too many traders are stuck to their computer screens trying to make a living every day. By swing trading, you allow the market to work for you and you only need to check them occasionally. Make your money work for you, don’t work for it and keep in mind that some of these trades won’t work out. That’s okay though because over the longer-term they do work out as a percentage wise, which is your job.